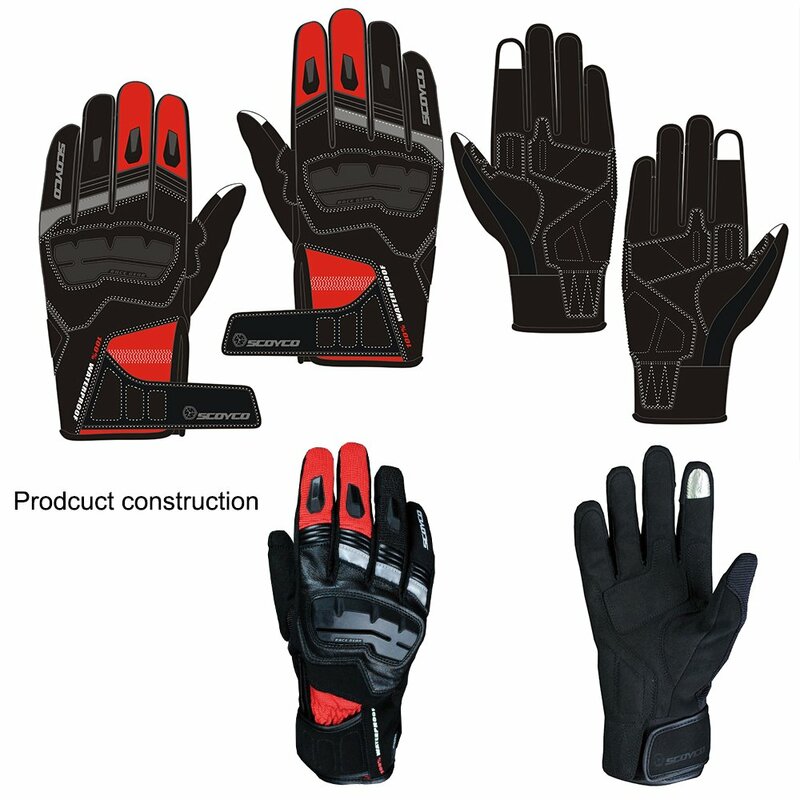 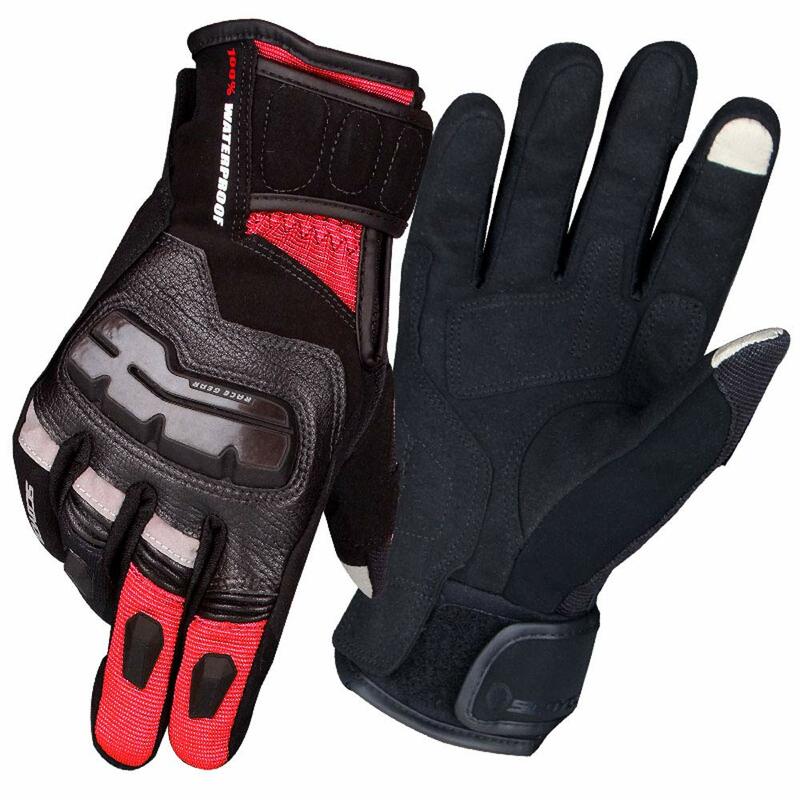 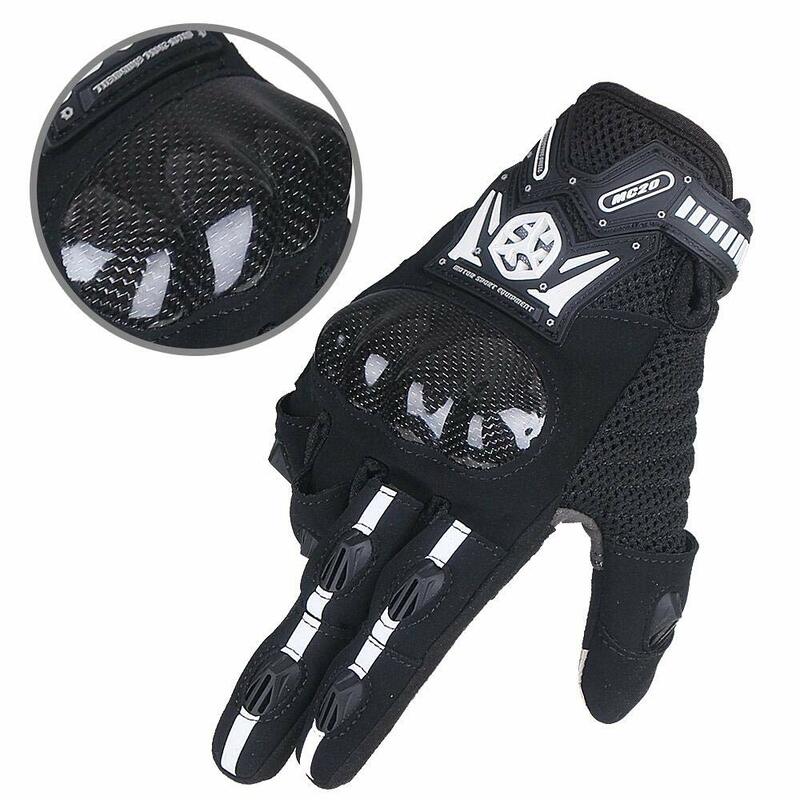 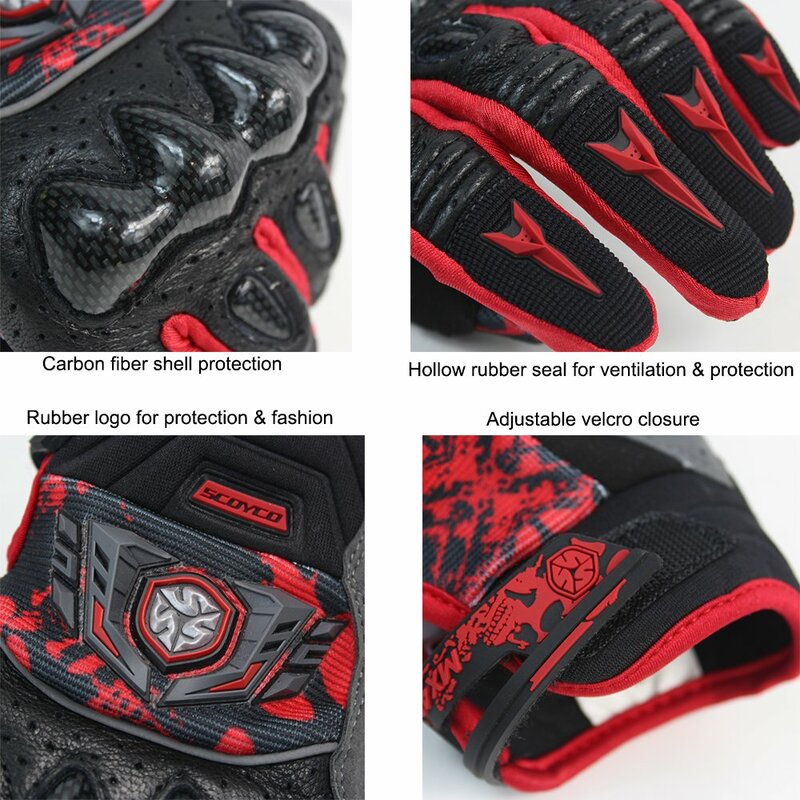 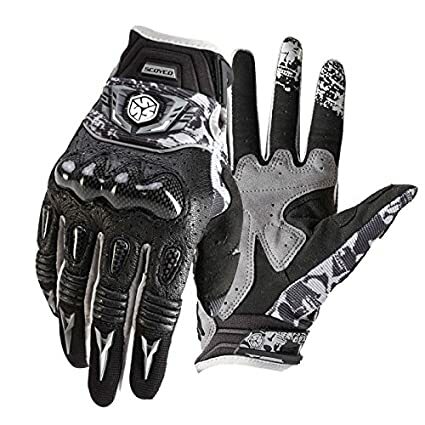 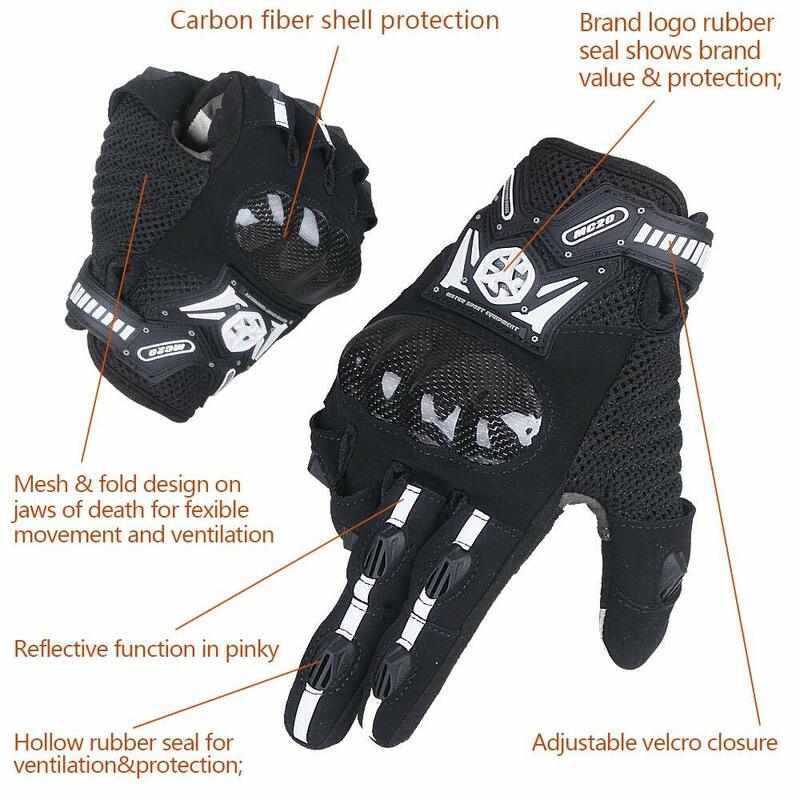 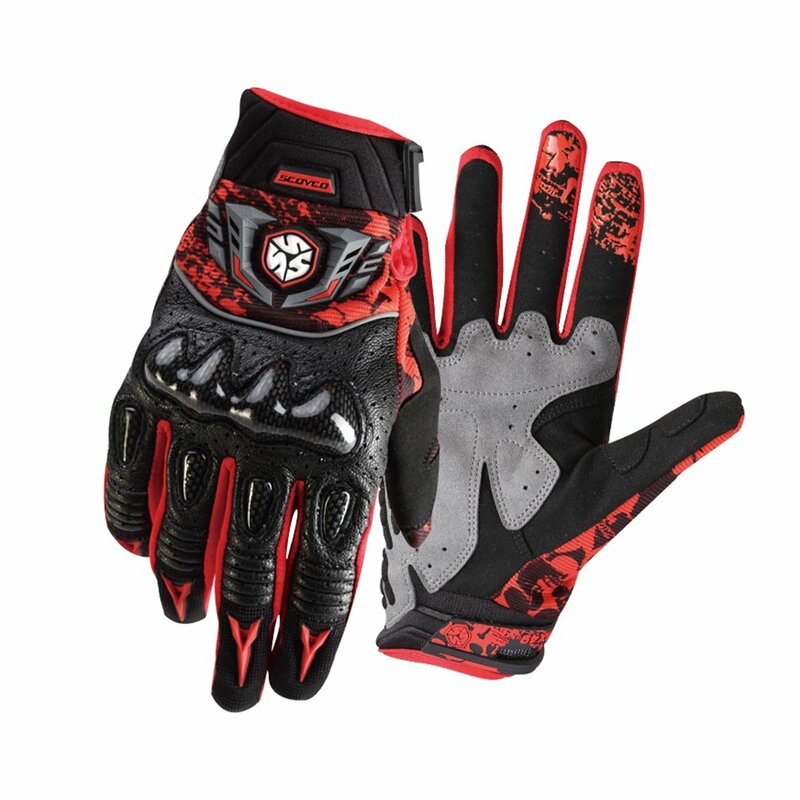 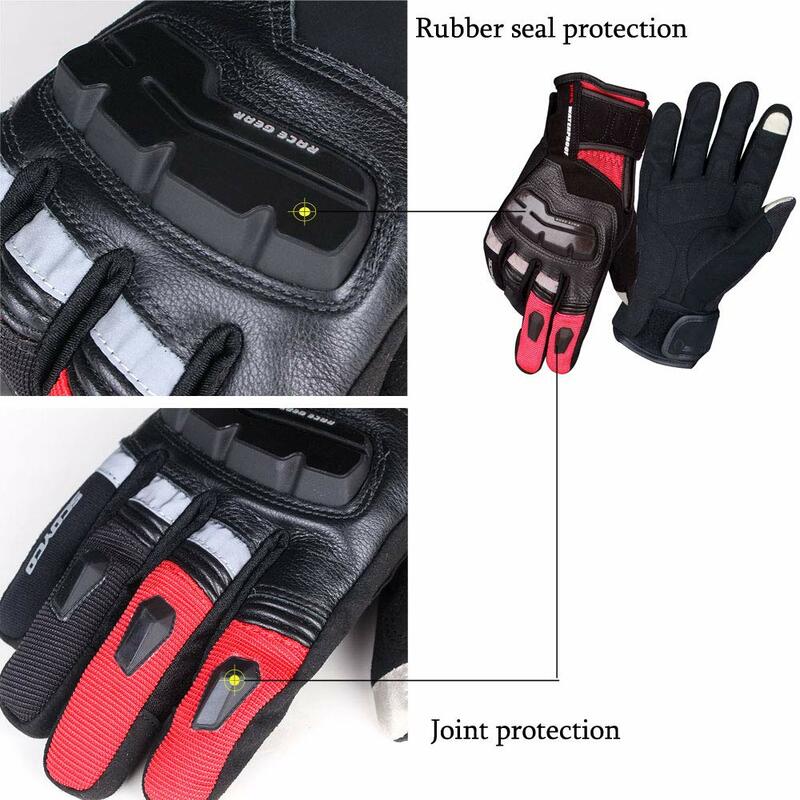 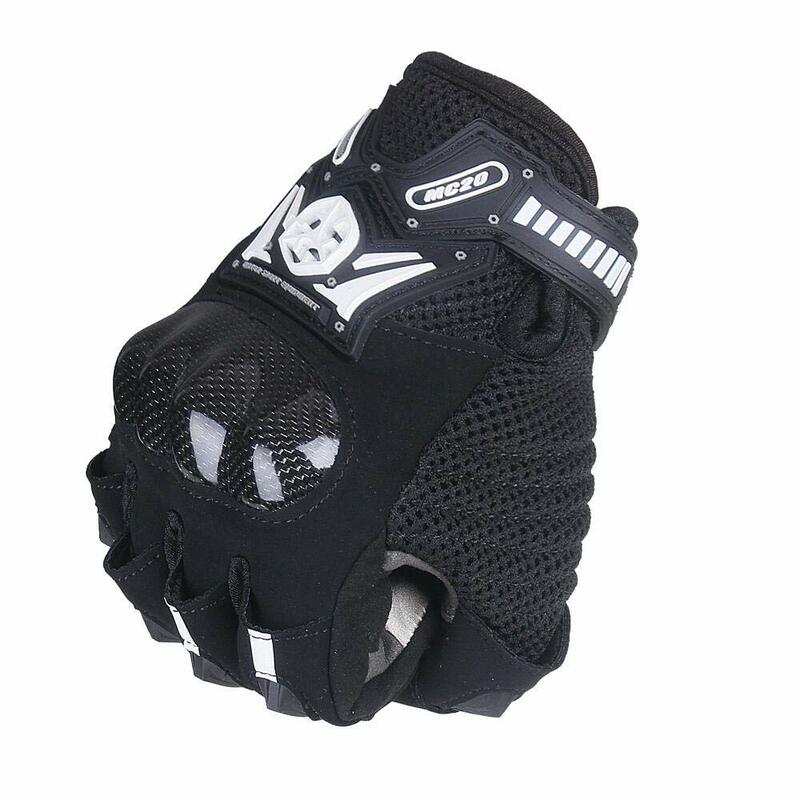 ★PROTECTION:Light & flexible stretchable carbon fiber knuckle shell protection provide double protection as the professional motorcycle GLOVES(Size: L--PALM CIRCUMFERENCE:22cm(8.66 inch)). 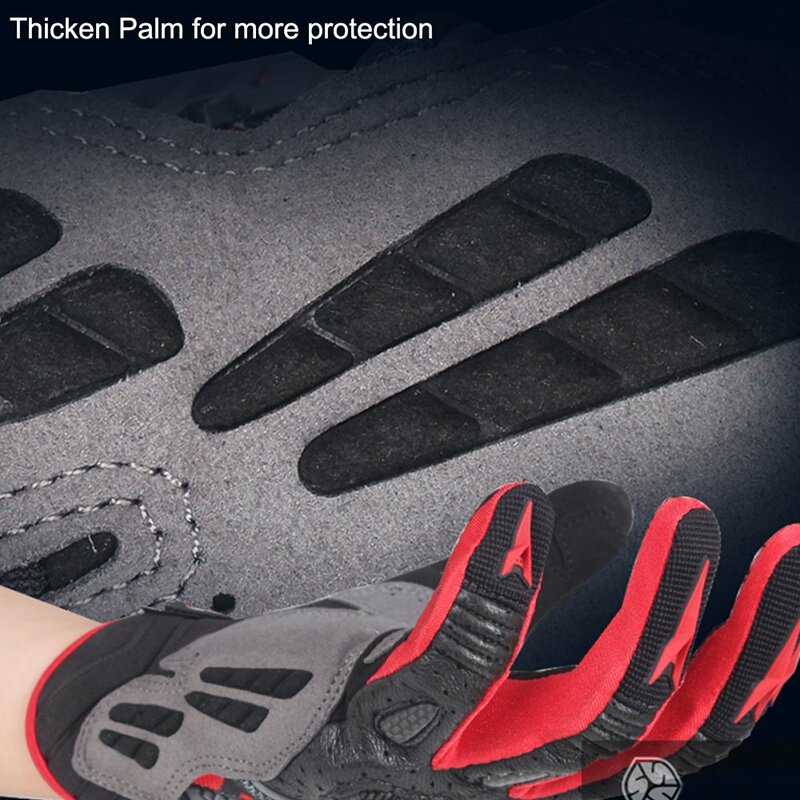 ★ANTI-SLIP & ABRASIVE: With silicone printing and Kevlar in the palm featured by anti-slip gridding to enhance abrasive resistance and protect your palm. 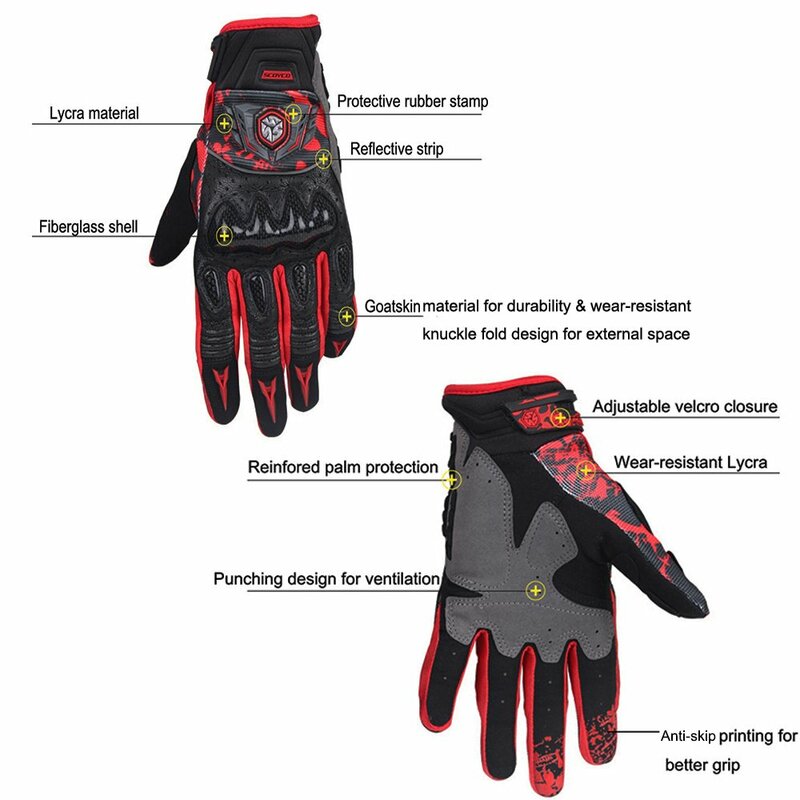 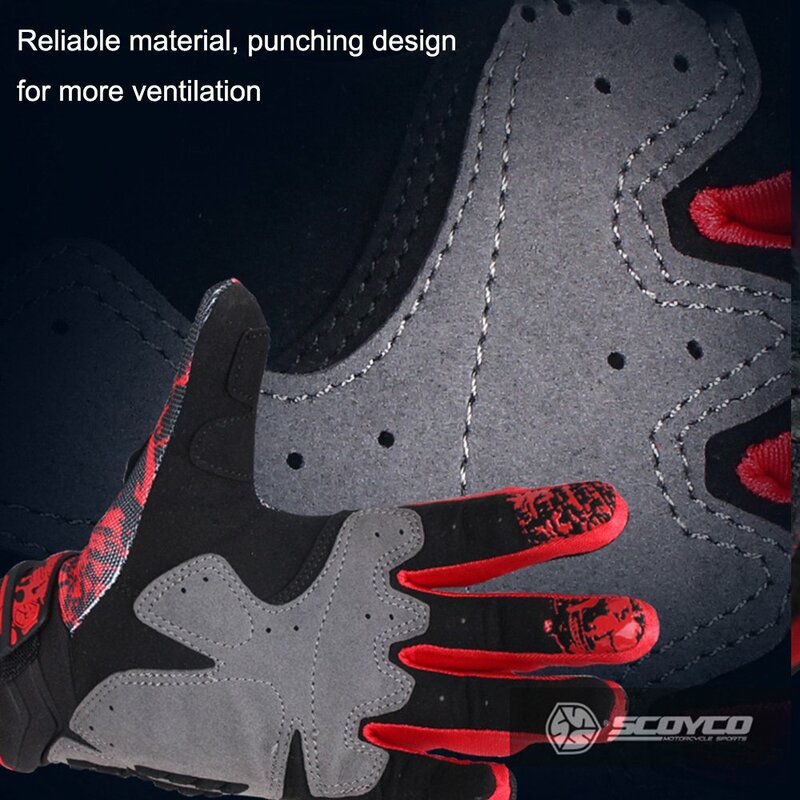 ★VENTILATE DESIGN:Hollow rubber seal for knuckle part and palm perforated design, demanding both breathability and protection. 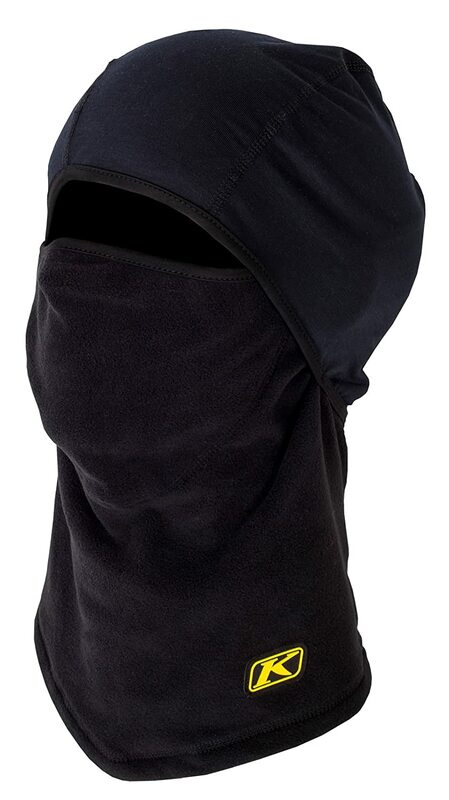 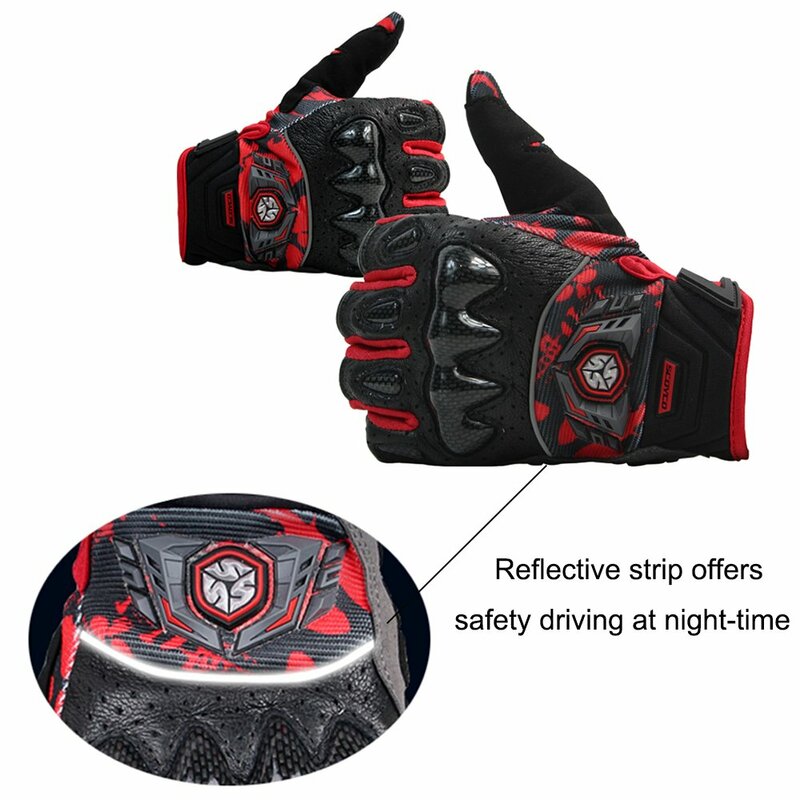 ★SAFETY:Pinky with reflective material increase the riding safety during the night. 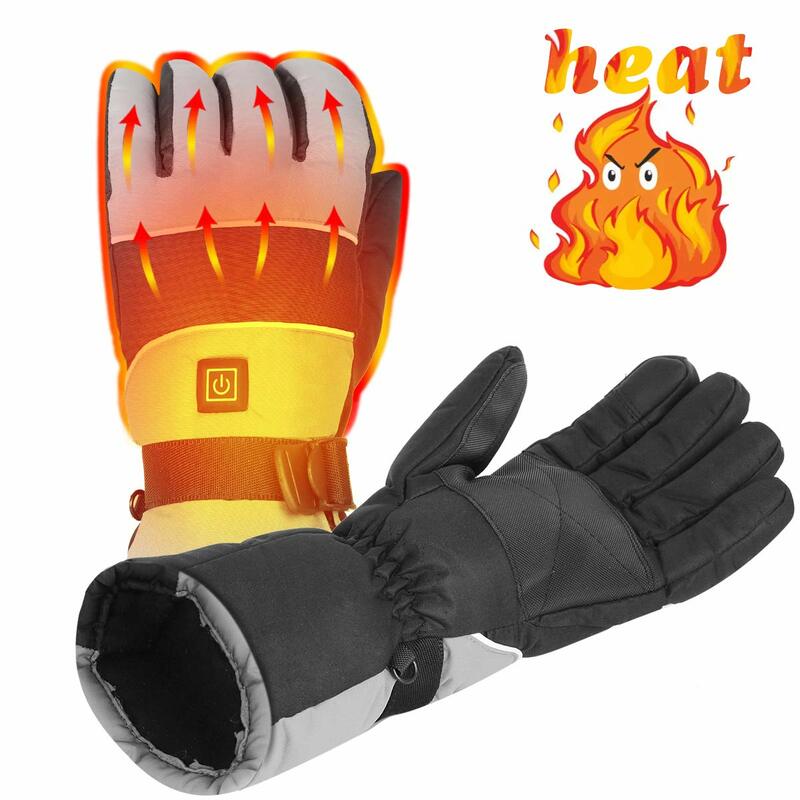 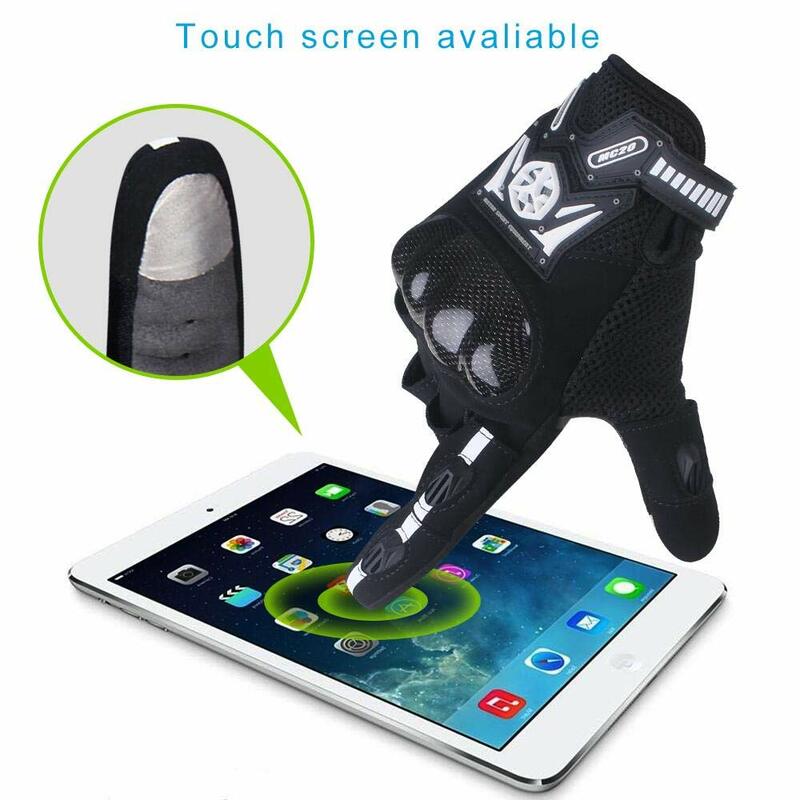 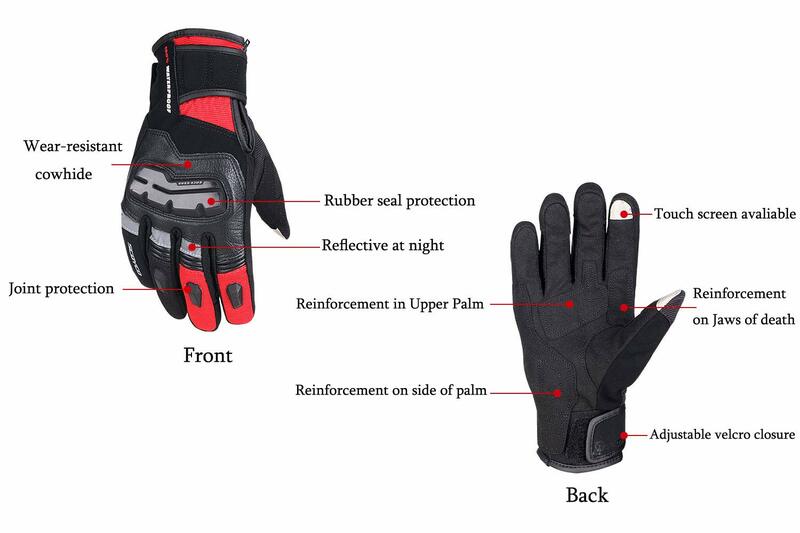 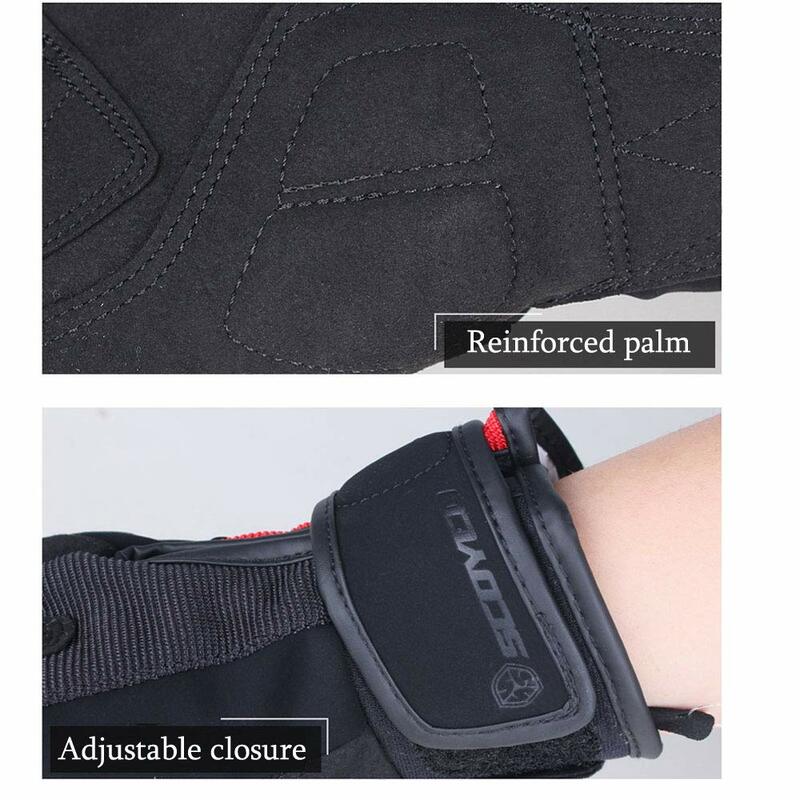 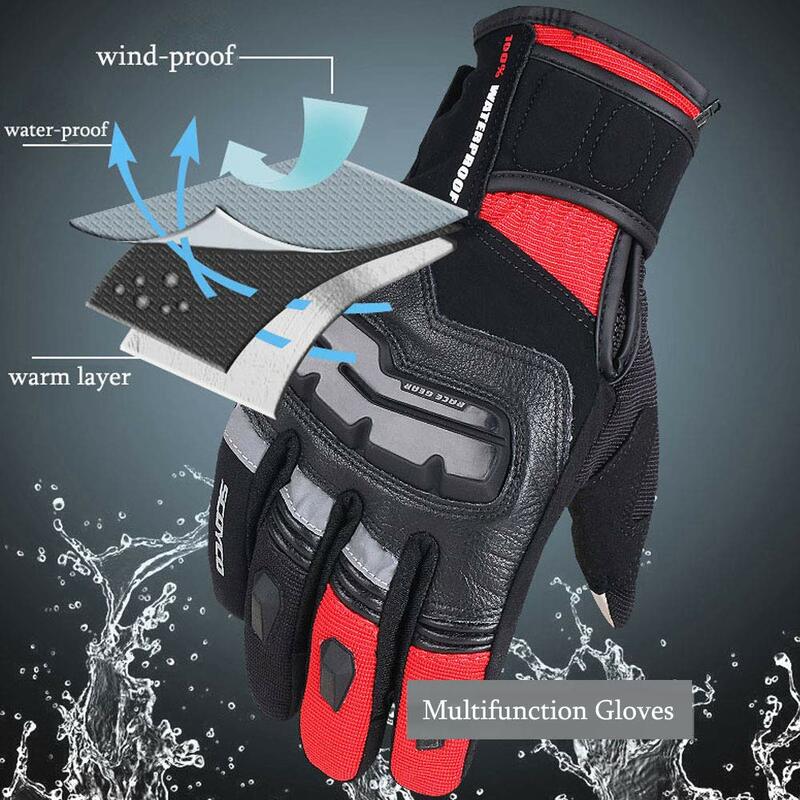 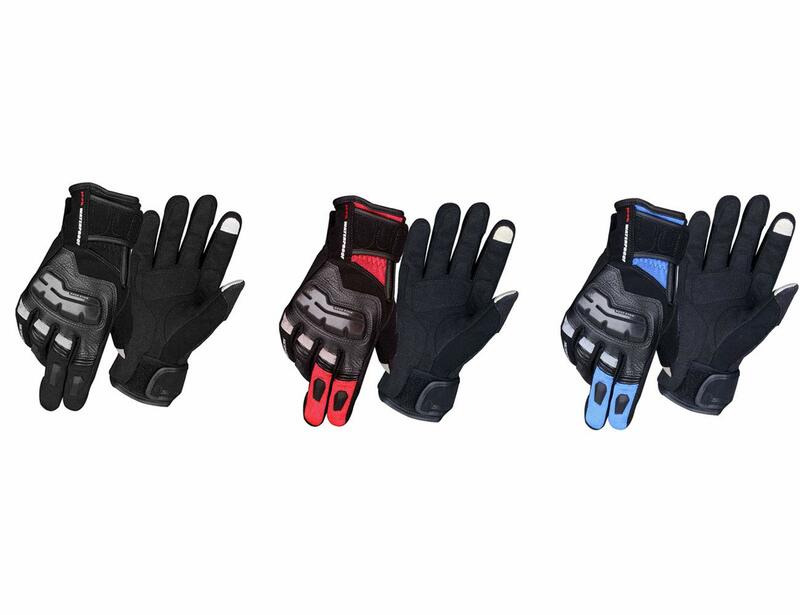 ★FUNTION:Touch screen is avaliable on index finger & adjustable velcro on wrist,aiming for the multifunctional motorcycles gloves. 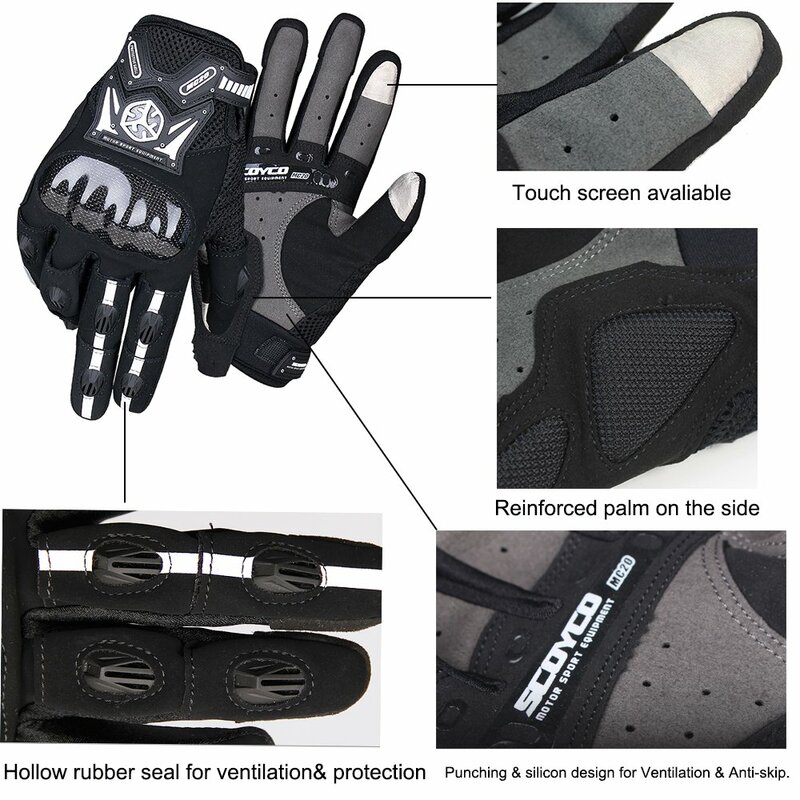 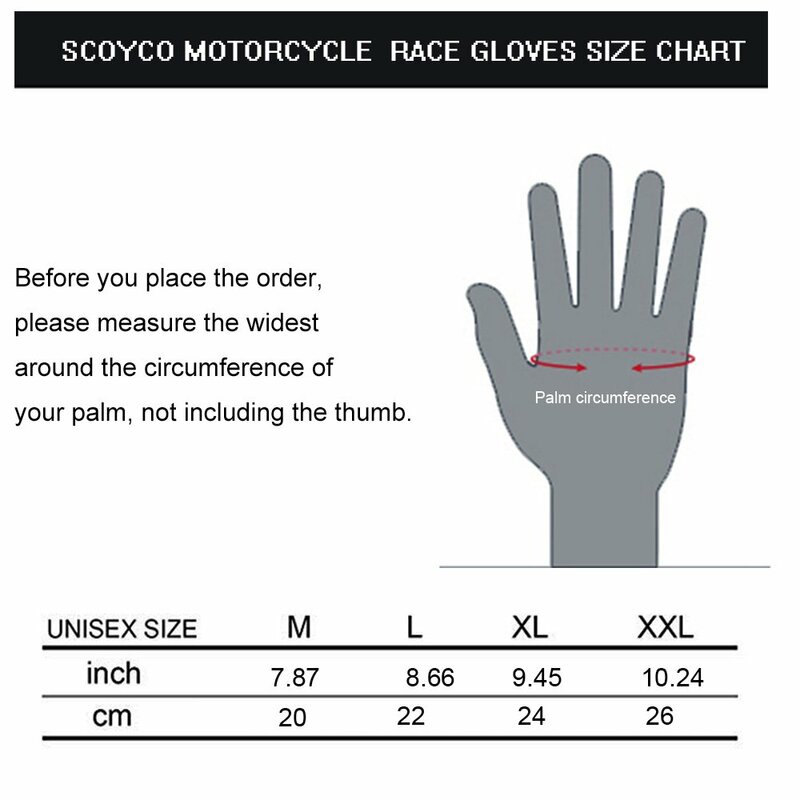 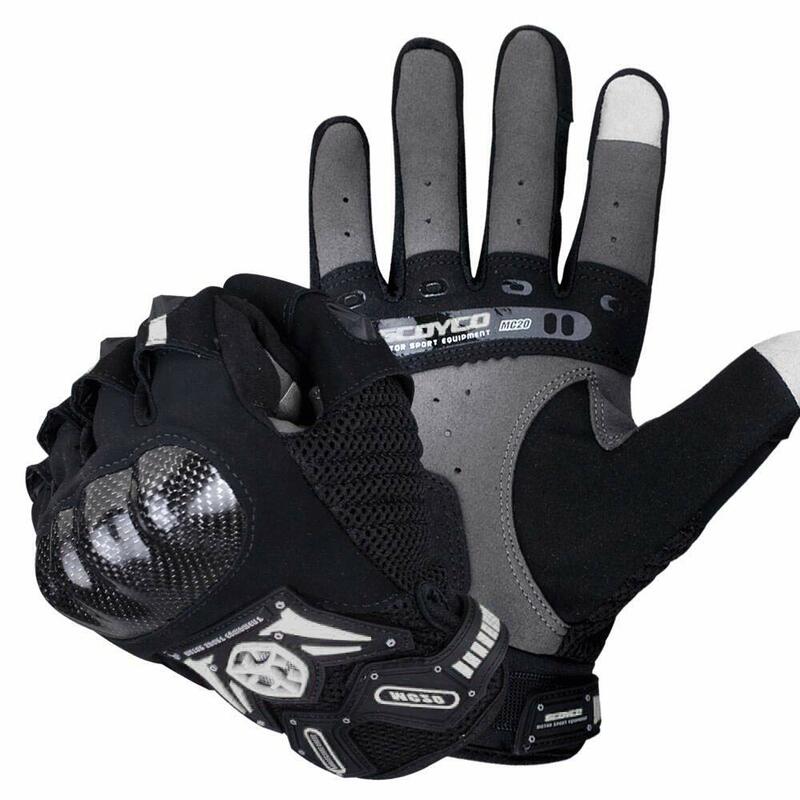 Scoyco New Touch Screen Full Finger Motorcycle racing gloves for Men, Hard Knuckle Ventilate Glove. 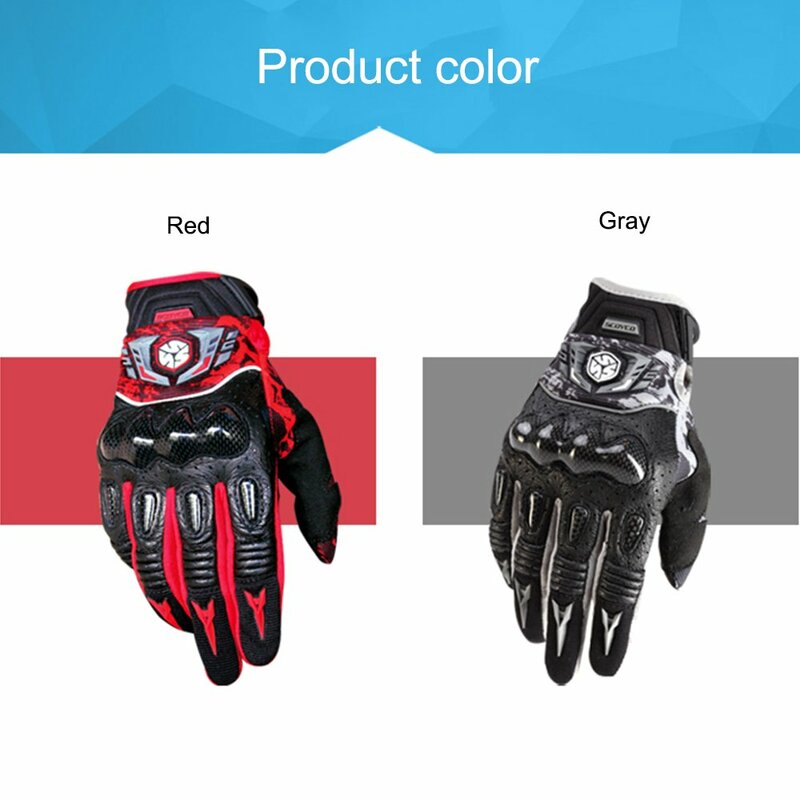 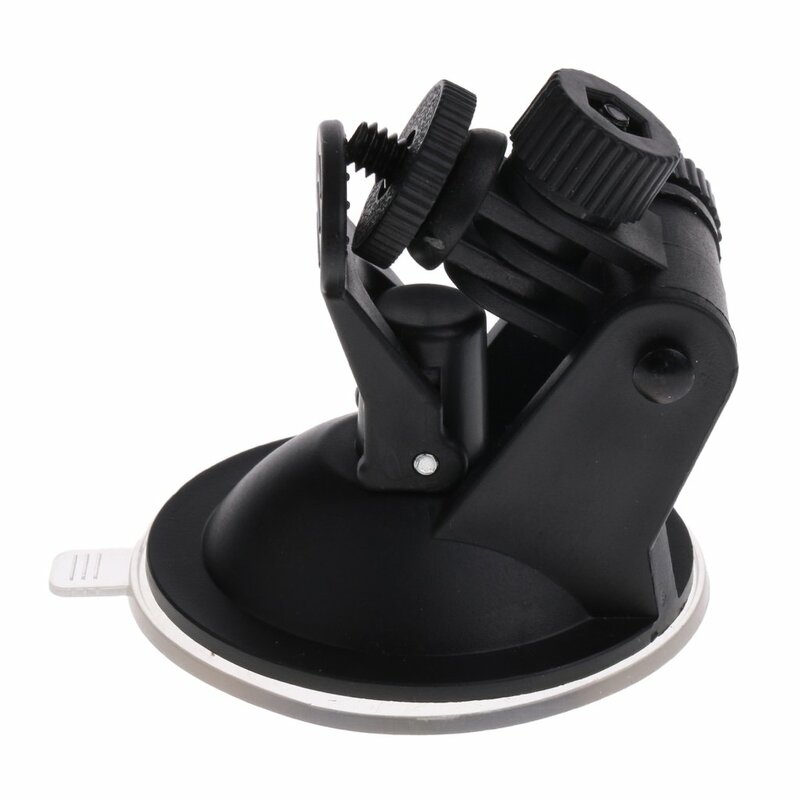 size is manually measured, and there may be 1-2cm error. 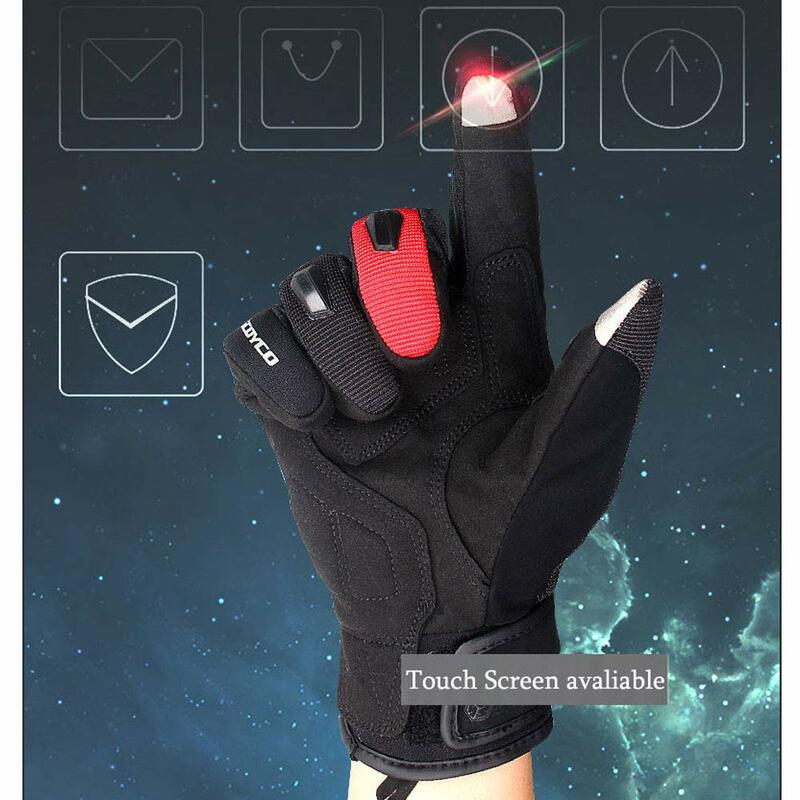 Finger pointing up when hanging. 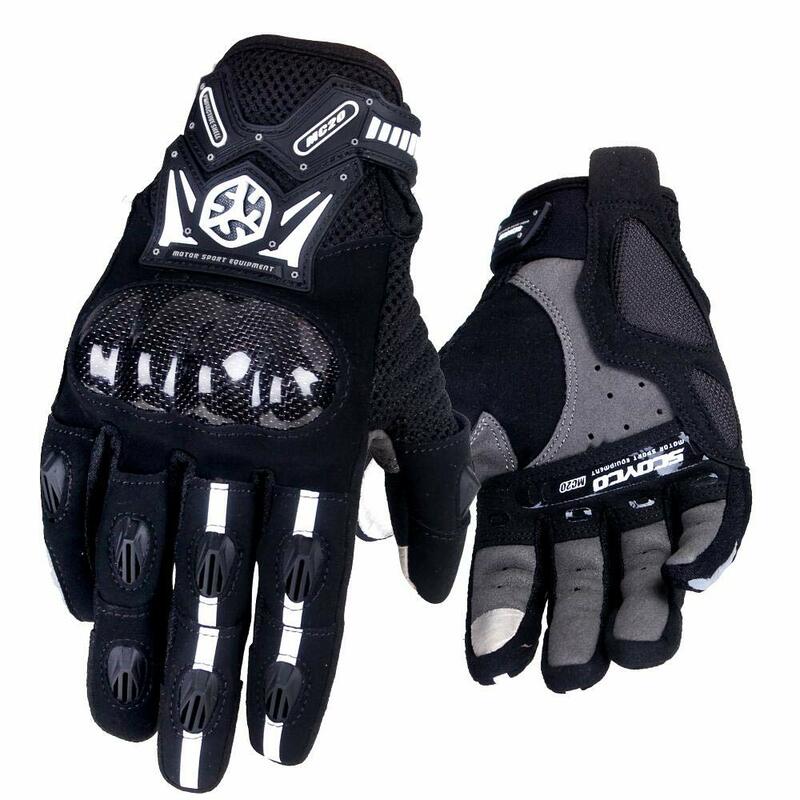 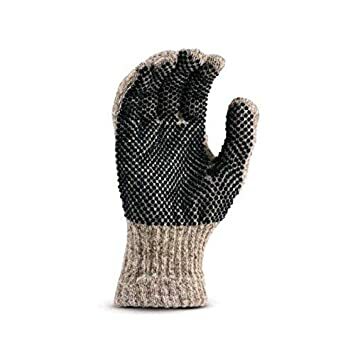 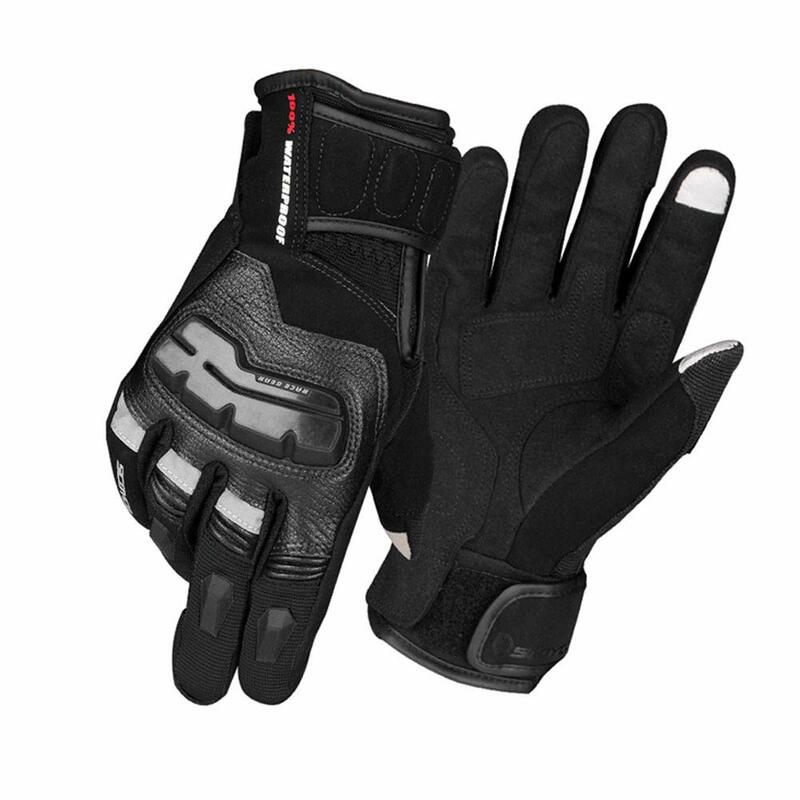 - One pair of motorcycles gloves.